The Moab Derailleur Ale Mountain Bike Jersey features a 3/4 length sleeve and a loose fitting casual style. The loose fit on this mountain bike jersey provides great mobility while on the trail while still providing ample room for protective gear. The jersey also features a flat V Neck collar which provide a great fit. Like most jerseys this mountain bike jersey is constructed out of dry sport polyester. The breathable lite weight fabric works to wick moisture away from the skin to keep you dry and cool on those hot days out on the trail. The jersey has no elastic on the waist of cuffs and no pockets. Its perfect for use with a hydration pack. Need some shorts to complement your mountain bike jersey? We have those too. Ride in what our employees ride in. What has been a proven great all around great mountain bike jersey at an exceptional value. We ensure a high quality product or your money back. Check out this jersey in a Road Version. 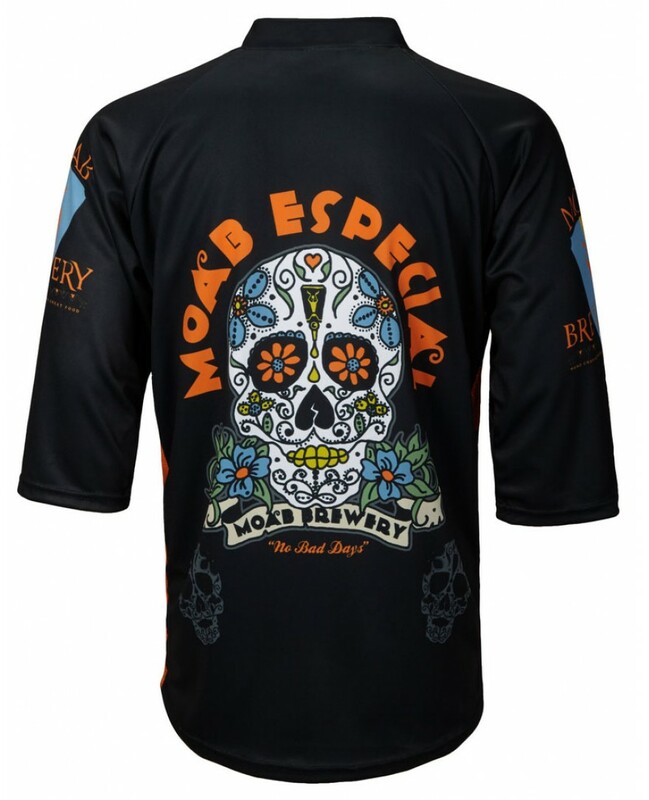 The Moab jersey will show your love for not only beer cycling jerseys, but the Moab brand. 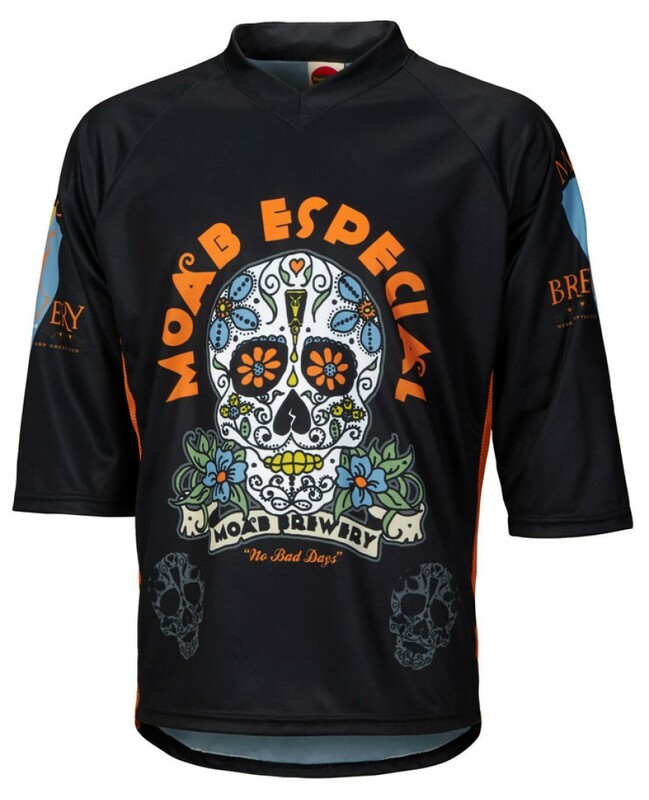 This awesome Moab brewery mountain bike jersey will set you apart on the road.